Perhaps more than knowing and mastering the techniques needed to produce a dish, it’s being able to execute them consistently and on time that’s the biggest challenge of being in the kitchen. That’s what our group of eight Superior Cuisine students learned first-hand in their mock restaurant event held last month. 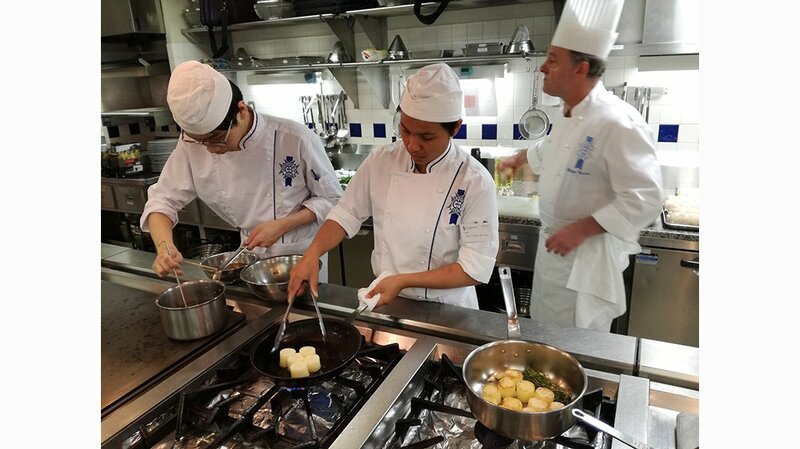 A first for the students and a first for us, graduating students are required to put on a dining event to apply their skills as part of our new Cuisine program. From recipe design, ingredient costing and procurement to kitchen operations, space set-up, and service, the entire event is completely student-run. 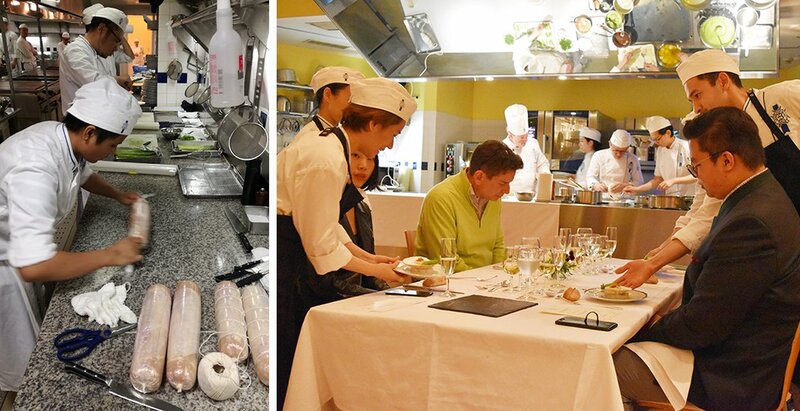 Over 20 guests were served five stunning courses in the aptly named Dîner Gourmand, showcasing the culinary prowess and kitchen-readiness of our near-graduates. 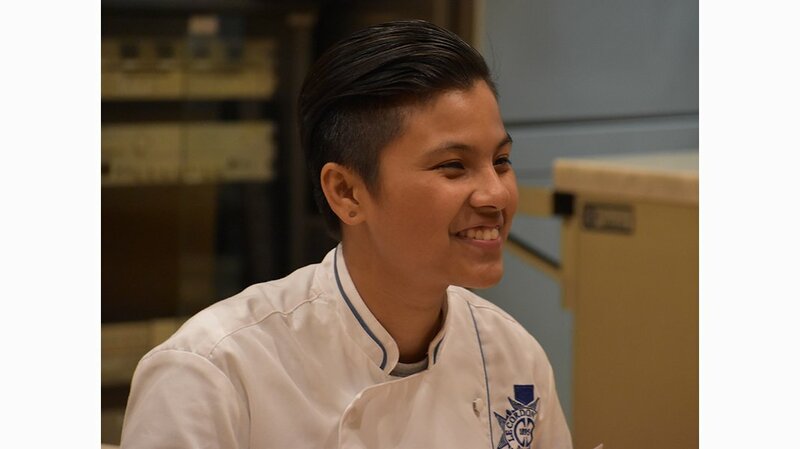 The meal was the product of many days of hard prep, kitchen troubles faced and overcome, and a practical understanding of the importance teamwork in a kitchen. The evening was a great success, not only for the diners, who left happy and full, but also for our students, who have come along a long way since they first started, less than 5 months ago. Q. What did you find the most challenging? Coming up with a menu as a group of eight was hard. We had a lot of different ideas and they sometimes clashed. But it was executing our menu that was the toughest. I didn’t anticipate the sheer amount of operation planning and prep involved in getting a dish made. We decided to do a ballotine for our menu; it’s a large chicken roulade that we’ve done in our regular classes before. We were comfortable with it, but we’ve never made so many. It was the most challenging organising everything, from butchering so many chickens to rolling and cooking the ballotines themselves. You really feel difference between learning techniques and actually using them. For me, it was getting to work alongside our chef. In class, he’s our teacher and we respect him because of that, but for the event we saw him in the kitchen as part of our team. He was around to give us advice and help us when we ran into problems, but he also let us take the reigns. How special is that! Q. What’s one thing this event taught you? We were split into different groups, each in charge of a dish in our menu. I was selected as the leader for the main dish and I learned a lot from that. The chef told me to constantly watch what my team was doing and how they were doing it. And that’s what it’s like in a real kitchen. You need to work as a team. I was nervous. I had the techniques to pull the dish off by myself, but being responsible for my team, their work, and their mistakes made me feel a little of what it means to be a chef. Diners often take for granted the effort and heart that goes into a brilliant service. Those few delicious hours spent savouring a round of carefully curated dishes beguiles the hard work behind the scenes. 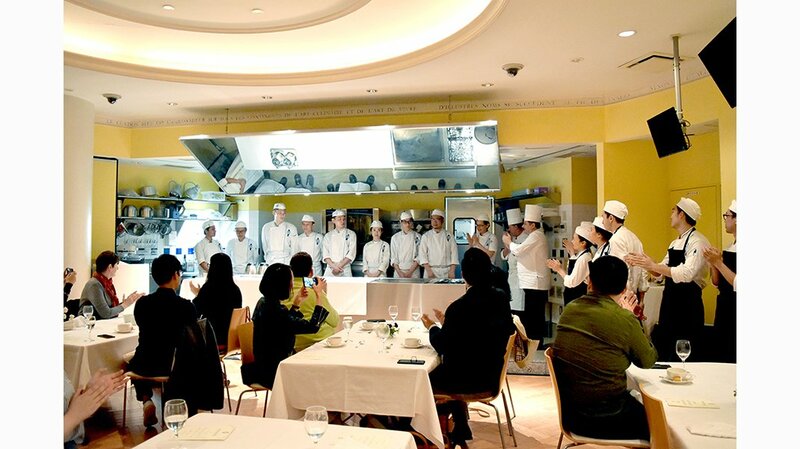 Last month’s event was no different; our students spent three grueling days planning and prepping to deliver a spectacular showing of their skills. It was the product of their hard work and we are nothing but proud. Bravo!